That the metal is oxidized by oxygen in the air is called rust. If the aluminum reacts with the oxygen, there will be alumina which is called aluminum rust. The aluminum rust is very thin- the thickness is only one ten-thousandth of a millimeter. But it is also rather hard and very wear-resisting. The rust closely clings to the surface of the aluminum profiles, which makes the aluminum can’t be exposed to the outside air and prevents the aluminum from being rusted again. Tips: The aluminum oxide film also has opponents: one is alkali, the other is acid. When alumina meets them, there will be a chemical reaction. The reaction will generate compounds which is very easy to fall off. And do not wipe the aluminum profiles with anything when the profiles just become rusty, such as the aluminum heat sink and aluminum pipe. 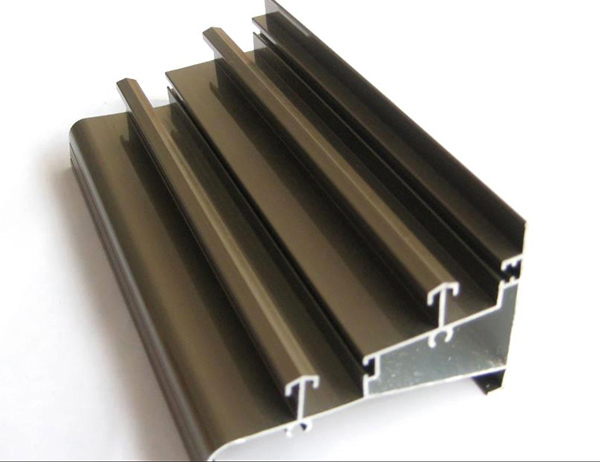 Although you wipe off the alumina, the aluminum profiles will be lighter. Narrow meaning of non-ferrous metals is also called the non-iron metals, including all the metals except iron, chromium and manganese. The generalized non-ferrous metals include non-ferrous alloy as well. The density of aluminum is rather small which is only3.1g/cm. And the surface of the aluminum has the dense Al2O3 film which can prevent the internal reaction of aluminum and make the aluminum not easy to be oxidized. The production process of aluminum is much more complicated than the iron. And the aluminum is a relatively lively metal, so it must be smelted by the electrolytic process. In the whole production process, the cost of aluminum is much more than iron, so the price is higher than iron.